This is the next stage of the Julian Assange chronicles: from the summit of information disclosures and meddlesome revelations on classified state matters, the Australian rabblerouser now finds himself the subject of a new round of jokes and ribbing. WikiLeaks, in short, must be wary of the dangers posed by a new campaign of farce. Satire, humour and ad hominem attacks can have the effect of wounding and deflating. When directed against dissidents from the vantage point of tradition, the effect can be calculating and delegitimising. For Chelsea Manning, a querulous attitude to the US military, a confused matter of gender and lingering resentment were furnished as weapons against her role as a genuine whistleblower. Whistleblowers, or so goes this line of reasoning, cannot suffer “delusions of grandeur”. They must be calm, focused, and scrupulously clean. Joan Smith, chair of the Mayor of London’s Violence Against Women and Girls Panel, provided an exemplary demonstration of how an attempted diminution of a legacy can work. In a graceless attack on Assange in 2016, she showed a damnable political immaturity. Her clumsily fashioned assault dismissed international protections against arbitrary detention or matters of political prosecution; none of these, she suggested, applied to Assange. The restoration of basic entitlements to Assange at the Ecuadorean embassy (modest, restricted internet access being one of them), where he remains a troublesome tenant, has provided another round for comic skewering. Now, the razors of satire have been deployed in various measures that seek as much to render his historical contributions to whistleblowing and journalism a matter of mirth rather than worth. In one sense, this returns Assange to a time immemorial function of palace politics: to be the jester, is to reveal the truth. It all began with the new “house rules” of the Ecuadorean embassy, which restore conditional access to the Internet. Not following these newly minted conditions “could lead to the termination of the diplomatic asylum granted by the Ecuadorean state”. The memorandum also made it clear that the embassy was going to target “unauthorised equipment”, reserving “the right to authorise security personnel to seize equipment” or request British authorities to enter the premises to do so. This was not all. 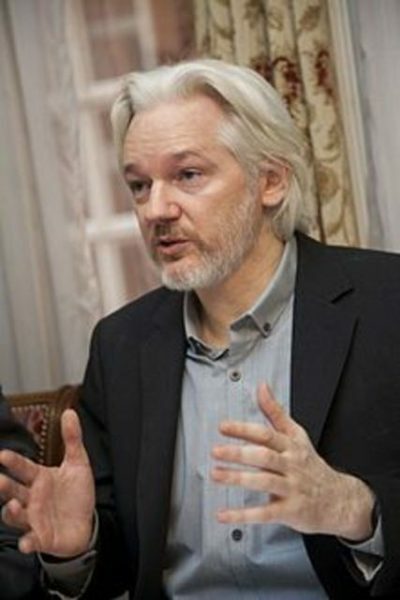 In the language of an irritable nurse, the memorandum urged Assange to observe basic levels of hygiene (cleaning his own bathroom, including after himself and his guests), a behavioural requirement rich with imputation, and could not hope for embassy payments towards his food, laundry or other costs for his stay from December 1, 2018 onwards. Quarterly medical check-ups would cease being covered. He also had to ensure continued adequate care for his feline companion, one whose name has altered over time in the name, ostensibly, public relations. Where this instagrammed, tweeted creature came from is unclear, though it invariably supplies his observers with salivating prospects for speculation. One story run for tabloid consumption is that the cat was a gift from his children; another, told to Khatchadourian, was that the tale was a handy concoction designed to gull. The embassy is, however, clear. He had to take care of the cat’s “well-being, food and hygiene”. Not doing so risked having to surrender the animal to care. It is precisely such antics – and for Assange, being in a restricted abode for six years should entitle him some measure of frivolity – that provide morsels for distraction. Information wars can reach the high summit of austere seriousness in exposing state mendacity, or they can plummet into depictions of distracting farce. Farce and the staged absurd is something that is bound to shadow Assange in this latest bout, even if a certain tart historical legacy is assured. Having now launched a lawsuit against Ecuador’s Foreign Affairs Ministry on claimed violations of constitutional rights, Assange is being mocked for being unable to understand the appointed translator. “According to the English-speaking Assange,” goes an acerbic Seamus Bellamy, “his self-righteous blather differs from what the rest of the English-speaking world gets along with.” Judge Karina Martinez conceded that the court had erred in appointing a translator not adept in picking up the Australian accent which, for Assange, was sufficiently thick to warrant consideration. This is vintage Assange: amidst the undergrowth of seriousness comes an element of the absurd with a good twist of truth. Featured image is from WSWS.